John Travolta has not been making as many films as he used to. Ever since his son died in 2009, he has made noticeably fewer movies. It seems like Travolta has maybe gone off the deep end because his characters have gotten angrier and more intense. His role in Killing Season appeared like it was going to continue this trend. The pairing of Robert De Niro opposite Travolta as another darker character was enough to make me want to see the film. Travolta out for revenge on De Niro on screen is bound to be entertaining. 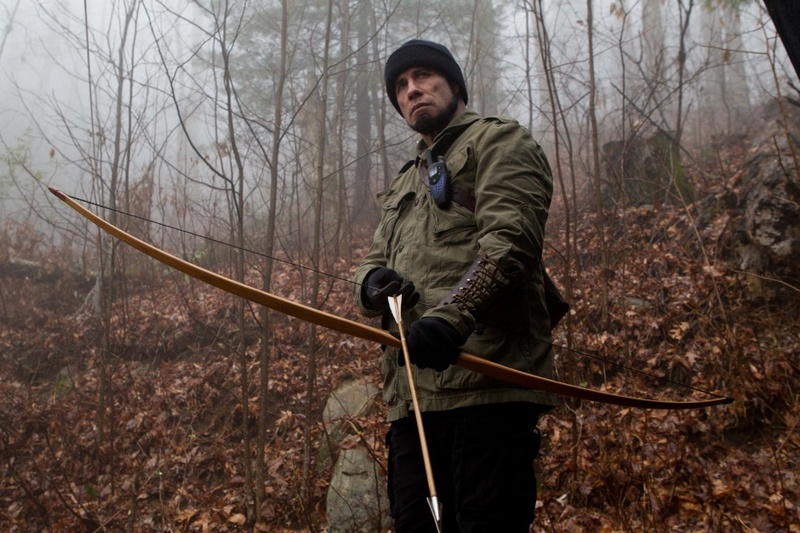 Killing Season is about a retired war-hardened veteran (Robert De Niro) who is trying to live a quiet life in a remote cabin in the wilderness when a man from his past (John Travolta) comes back to hunt him. The film was directed by Mark Steven Johnson and the rest of the noteworthy cast includes Milo Ventimiglia and Elizabeth Olin. The movie touches briefly on the Bosnian war, which I found interesting because I knew nothing about it. I thought that Travolta pulled off a Serbian accent quite well. Along with his short, dark hair, facial hair, and eyebrows, he was believable as a Serbian. He certainly continued his recent trend of grittier characters and he was a likable bad guy. De Niro has showed no sign of slowing down even at the age of 70. He ran around in the woods and held his own against the younger Travolta. The film was a drawn out battle between two aging veterans in the style of The Most Dangerous Game (1932). One man hunted the other while the other man fought to survive. The movie was a little too predictable at times. However, the quality acting, moderately intense action, and the built up tension throughout the film was enough to make up for where it was lacking, and ultimately made the movie worth watching. 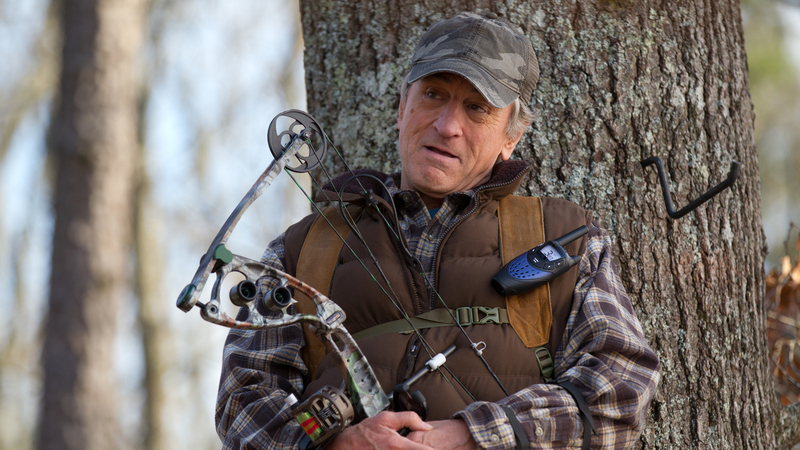 Without spoiling the film, I think that the movie would have benefited from having more time spent hunting. If the chase was a little more spread out, the film might have been less predictable. The movie is a 2 man show. 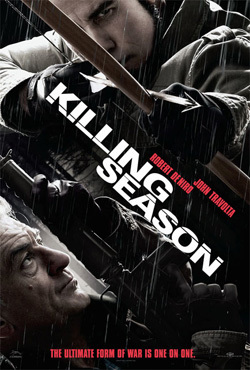 The bottom line is if you are a fan of De Niro or Travolta, then you will probably enjoy Killing Season. Posted on August 20, 2013, in Action Movie Reviews, Drama Movie Reviews and tagged Bosnian War, Elizabeth Olin, John Travolta, Killing Season (2013), Mark Steven Johnson, Milo Ventimiglia, movie, Robert De Niro, The Most Dangerous Game (1932). Bookmark the permalink. 4 Comments. It was decent. A little predictable at times. Fun to see De Niro and Travolta at odds. I liked it enough. I was dragged on a lot. I felt like they should have had more of a chase; more hiding in the woods and searching for each other. That part of the movie went a little to fast while the rest of it was dragged out.